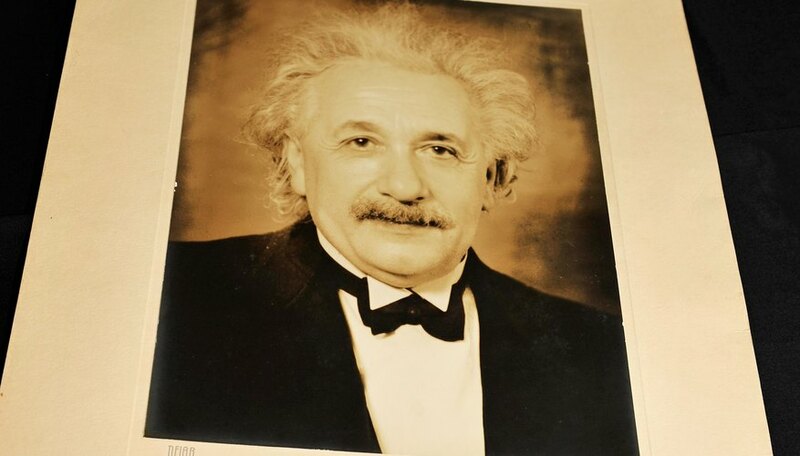 Albert Einstein is remembered for relativity theory and the equation that equates mass and energy, but neither accomplishment won him the Nobel Prize. He received that honor for his theoretical work in quantum physics. 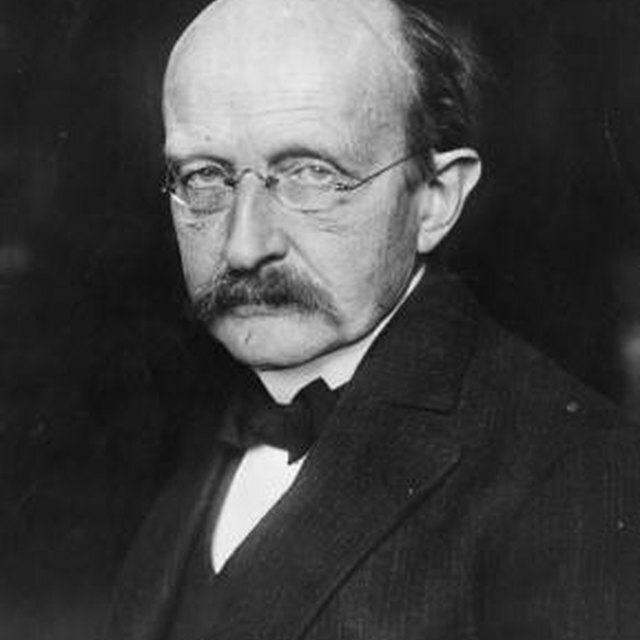 Developing ideas advanced by German physicist Max Planck, Einstein proposed that light was composed of discrete particles. He predicted that shining light on a conducting metal surface would create an a electric current, and this prediction was proven in the laboratory. Sir Isaac Newton, describing the behavior of light diffracted by a prism, proposed that light was composed of particles. He thought that diffraction was caused because the particles slowed down when traveling through dense media. Later physicists tended toward the view that light was a wave. One reason for this was that shining light through two slits at once produces an interference pattern, which is only possible with waves. When James Clerk Maxwell published his theory of electromagnetism in 1873, he based the equations on the wave-like nature of electricity, magnetism and light -- a related phenomenon. The elegance of Maxwell's equations is strong evidence for the wave theory of light transmission, but Max Planck was inspired to refute that theory to explain the behavior observed when heating a "black box," which is one from which no light can escape. According to the the understandings of wave dynamics, the box should radiate an infinite amount of ultraviolet radiation when heated. Instead, it radiated in discrete frequencies -- none of them infinite. In 1900, Planck advanced the idea that the incident energy was "quantized" in discrete packets to explain this phenomenon, which was known as the ultraviolet catastrophe. Albert Einstein took Planck's ideas to heart, and in 1905, he published a paper entitled "On a Heuristic Viewpoint Concerning the Production and Transformation of Light," in which he used them to explain the photoelectric effect, first observed by Heinrich Hertz in 1887. According to Einstein, light incident on a metal surface creates an electric current because light particles knock electrons out of the atoms that compose the metal. The energy of the current should vary according to the frequency -- or color -- of the incident light, not according to the intensity of the light. This idea was revolutionary in a scientific community in which Maxwell's equations were well established. American physicist Robert Millikan wasn't convinced of Einstein's theories at first, and he devised careful experiments to test them. He placed a metal plate inside an evacuated glass bulb, shone light of various frequencies on the plate and recorded the resultant currents. Although Millikan had been skeptical, his observations agreed with Einstein's predictions. Einstein received the Nobel Prize in 1921 and Millikan received it in 1923. Neither Einstein, Planck nor Millikan called the particles "photons." That term didn't come into use until it was coined by Berkeley physicist Gilbert Lewis in 1929. Deziel, Chris. "The Famous Physicist Who Discovered Photons." Sciencing, https://sciencing.com/famous-physicist-discovered-photons-16203.html. 25 April 2017.